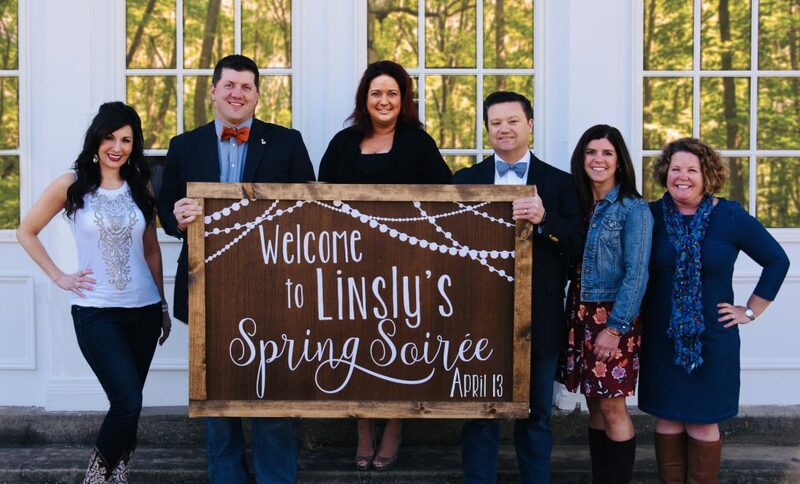 WHEELING — Dust off your favorite boots, grab your blue jean jacket, and adjust your bow ties for the first annual Linsly Spring Soiree & Auction, Boots to Bow Ties, to be held at 7 p.m. Saturday, April 13 in the Pine Room at Oglebay Park. Sponsored by Aladdin, The Linsly Spring Soiree & Auction promises to be a fun evening with delicious food, live music from Better Daze, and fantastic auction items. One of the newest auction items featured this year at Boots to Bow Ties fits the theme of the evening perfectly — a weekend get away for two to Music City, Nashville, Tennessee! This package will include airfare for two and accommodations for two nights at the Hilton Nashville Downtown, and a V.I.P. tour of the Gibson Guitar Studio. From a luxury ski vacation for eight in a condo at Seven Springs Mountain Resort, to a vacation home in Reunion, Florida, to an overnight stay in a Treetop Vila and ziplining passes at Grand Vue Park, as well as a variety of themed silent auction baskets, there is something for everyone’s budget at the Linsly Spring Soiree & Auction. Other featured auction items include a privately catered three-course dinner for eight in the comfort of your own home by Linsly’s own Chef Noah Fraley from Aladdin, PNC Championship Club Steeler tickets for four and parking pass, Hyundai Club Pittsburgh Pirates Tickets, and a date night romance package at the Omni William Penn Hotel & Resort in Downtown Pittsburgh. Lea Ridenhour, chief advancement officer at Linsly, explained that the new name and venue for Linsly’s annual fundraiser has breathed new life into this event. Ridenhour also said that this year’s event will include a diverse range of delicious food stations catered by event sponsor, Aladdin, as well as a special signature cocktail for the evening. Attire for the evening is casual and fun! Ladies can wear anything from blue jeans, boots and bling to spring dresses and blue jean jackets. Gentleman can come comfortably in their jeans and blazers and may feel free to sport a bowtie for the evening. Tickets for the event will be available the night of the event at the door. For more information visit www.linsly.org.